Two years after the Corporation accepted a proposal to remove the controversial crest of a slave-owning family from the Law School’s official seal, the school has yet to decide on a replacement. The former seal featured the crest of the family of Isaac Royall Jr., whose donation to the Law School in the late 18th century eventually funded the first Harvard professorship of law. The Royall family owned slaves on a plantation in Antigua and Barbuda as well as their house in Medford. Student activists formed a group dubbed Royall Must Fall in 2015 and called on the school to change the seal. After a months-long deliberative process, a Law School committee recommended in March 2016 that Harvard change the seal. The Corporation—the University’s highest governing body—approved that recommendation later that month. At the time, Law School spokesperson Robb London told The Crimson the school would select a new seal by 2017, in time for the school’s bicentennial celebration. That celebration is now nearing its end—but the school remains seal-less. In an interview last month, Dean of the Law School John F. Manning ’82 said administrators have been focused on the school’s capital campaign and the bicentennial. He said officials will initiate the process of adopting a new seal at a later date. Manning added he wants to ensure the process for choosing a new seal is “fair and effective” and that he is gathering input from Law School affiliates about what that process might look like. “We want to think about what is a fair and effective process for identifying a new seal,” Manning said. “This is my first year as dean, I’ve been going around and had lots of interaction with the community, with faculty, staff, students, and alumni, and in coming up with decision-making processes, it helps me to hear from a lot of constituents." 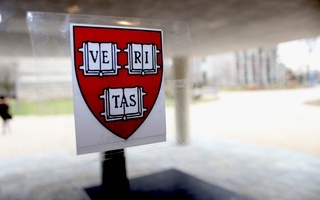 "I’m dealing with a lot of lawyers and a lot of people who care about Harvard Law School, and so I’m asking around to see what people think would be a good process for identifying a new shield,” he added. 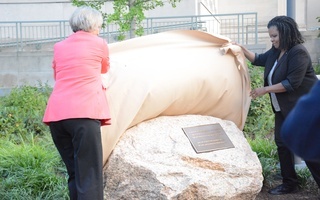 After the Corporation agreed to remove the Royall seal two years ago, the Law School worked quickly to remove it from campus and from Law School websites. While the endeavor was mostly successful, the seal was still visible at some locations on the Law School campus last year. The three wheat sheaves of the Royall crest remain in at least one location on campus—the door of a Harvard-owned property at 10 Mt. Auburn St.
Matthew Gruber, dean for administration at the Law School, wrote in an email Monday that, in the months since the initial effort to remove the Royall crest from campus, apparel, and websites, the school has continued to identify and remove any leftover seals. 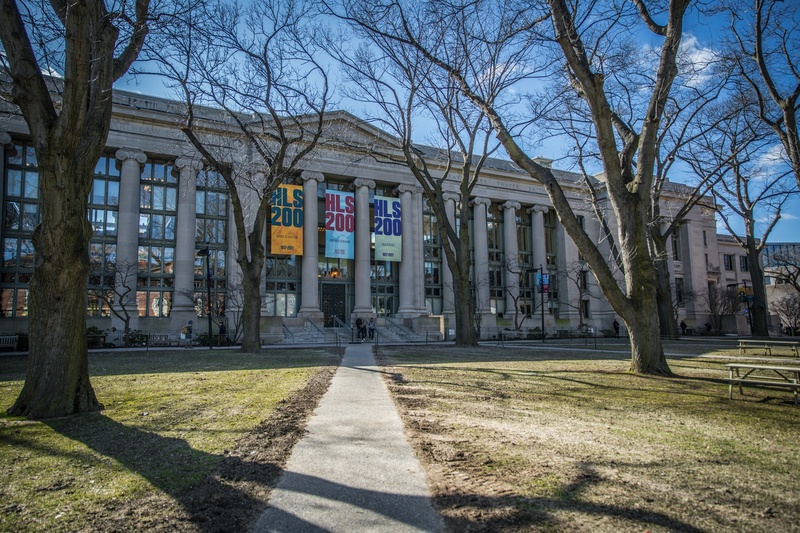 In the spring of 2016, the school replaced the Royall crests it had removed with a crimson seal with “Harvard Law” written in bold across the front. Throughout the bicentennial celebration over the past year, the school has used a special bicentennial logo. Amanda M. Lee, former president of the Law School student government, wrote in an email Monday that the absence of an official seal has not generated much concern among the student body. Lee did say, though, that some students “had concerns that the diploma might have a blank seal,” but those concerns quickly went away after Manning confirmed diplomas will bear the University’s “Veritas” seal. Recognizing these flaws does not necessitate revising history to remove them entirely; rather, it requires a full understanding of the past and a shared commitment by all, both across the country and at Harvard, to move toward a more inclusive future. The careful process undertaken by the Law School is a stark contrast to the one through which House Masters became Faculty Deans last month. I share the same LGBT demographic with the protesters that stood and held up “Fight Transphobia” signs, but they do not speak for me—especially as they infringe upon free speech and expression.